“The Con-Dems promised to improve CONNEXIONS Careers Advice for young people. But instead, they’ve done the opposite!! 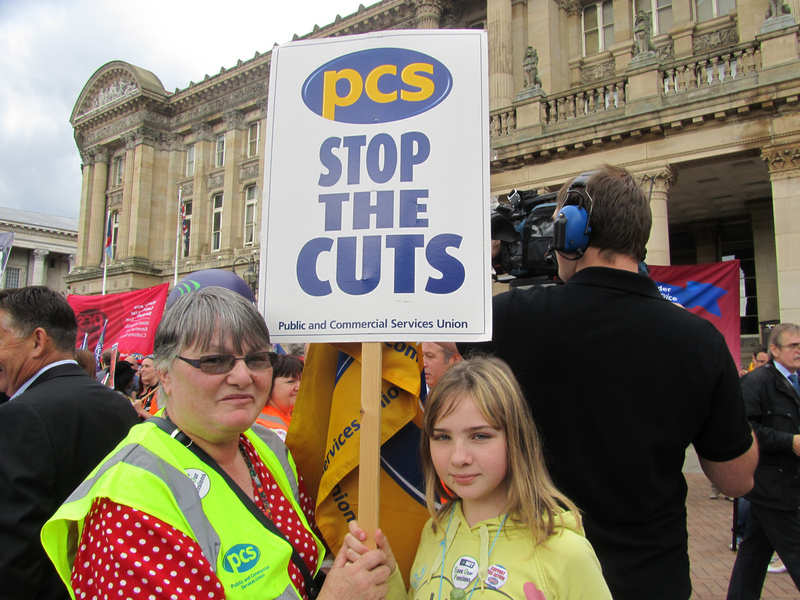 Funding for careers advice for young people in Birmingham has been cut by 67%. Staffing for careers advice cut by two thirds. 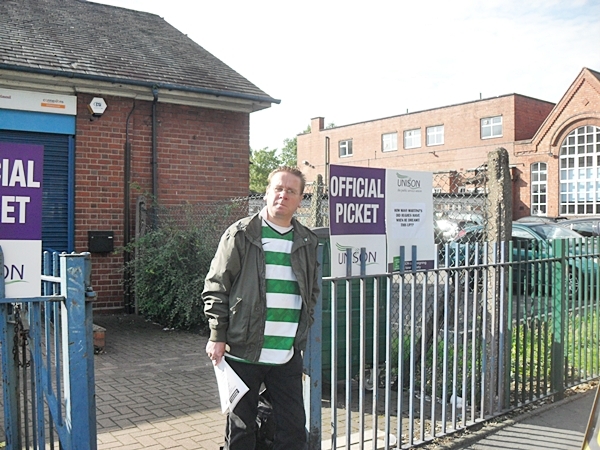 Kings Heath, Erdington, Handsworth, Yardley and Northfield Connexions centres have all been closed!! 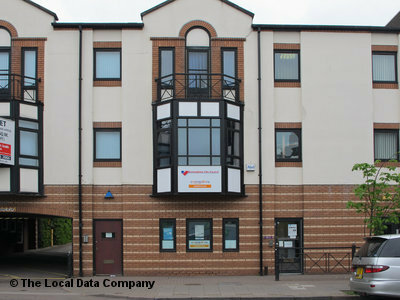 Only one full-time Connexions office remaining, and that will close in March 2013. Many young people will get no support in finding college places or jobs!! This is all at a time when we have over 1 million young people unemployed in Britain!! 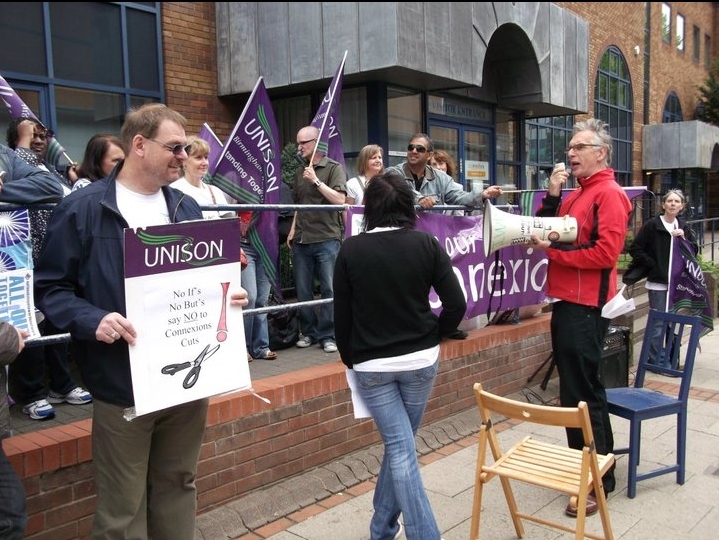 Connexions, who managed to stave off compulsory redundancies earlier this year through concerted strike action and demonstrations, are once again under threat and expecting to receive redundancy notices tomorrow morning. 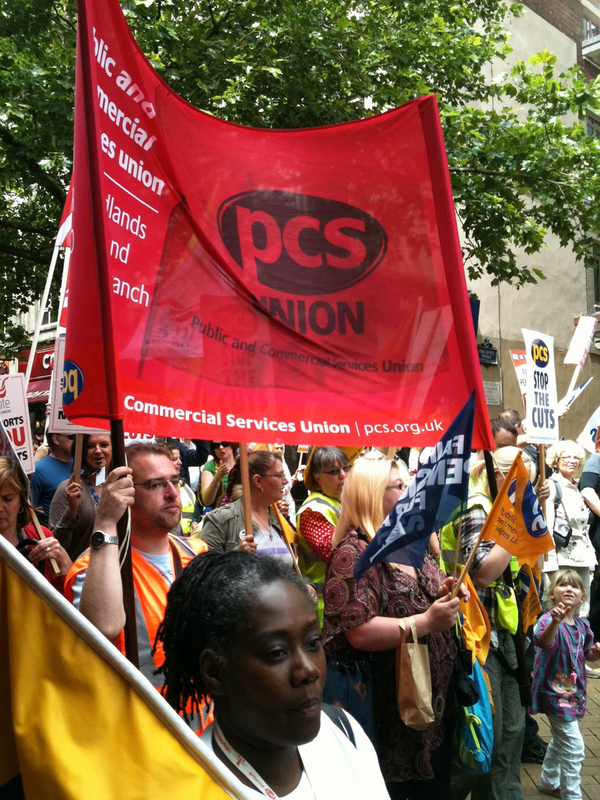 Staff will be holding a lunchtime protest from 12noon – 1pm, outside their offices at Charter House, 100 Broad Street. Connexions provide careers advice and access to training for young people. This service is particularly important at a time when youth unemployment is at record highs and the government’s own work programme is actually reducing people’s chances of finding work. 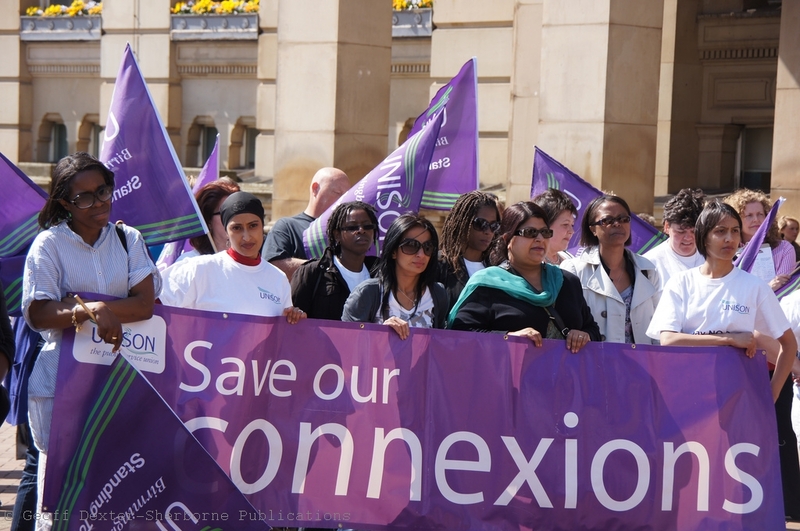 With massive cuts at the council, Connexions may find their doors closing just as the people they help need them the most. It is important that we show community support for this organisation to show the council that we do not want them to cut it. If you can make it along or pass by on your lunchbreak, then please do. 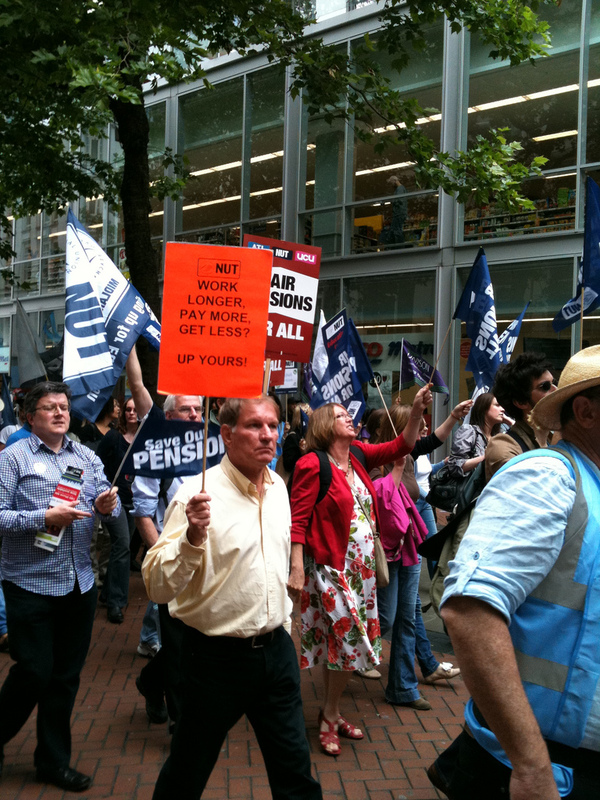 Thanks to everyone who came to the autumn statement demonstration tonight – report and photos tomorrow. 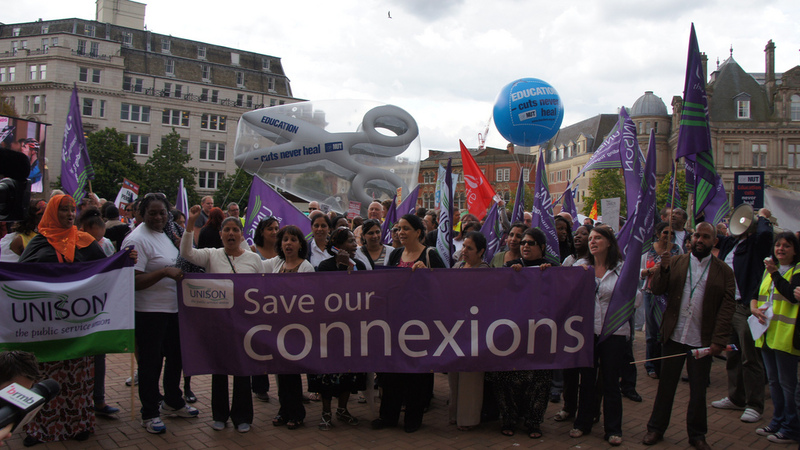 Over 100 staff at Connexions had good news yesterday after hearing that Birmingham City Council have backed down and withdrawn the threat of redundancies, stating that there will not be any more cuts to this vital service in the coming financial year. We hope that whoever is in power following the council elections in May will provide a continued commitment to Connexions. Connexions gives help and advice to young people who are unemployed and are looking for work, college or training. They also help young homeless people, pregnant teenage girls and teenage parents. 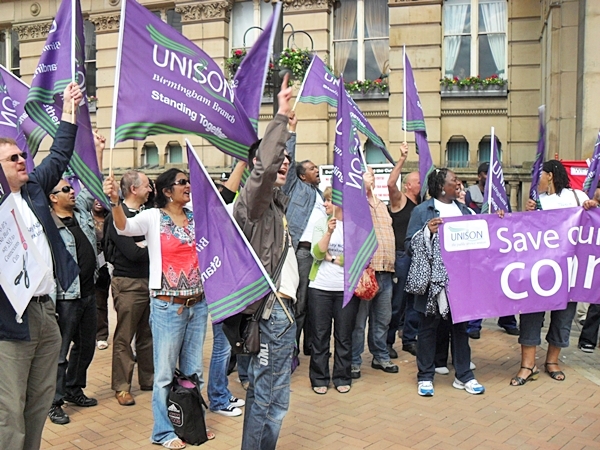 UNISON argued all along that to make cuts to this service when youth unemployment is at an all-time high and still rising was morally wrong, reckless and irresponsible and finally Birmingham City Council have listened. This is really good news for our members who been put the emotional wringer by this council for over 18 months. 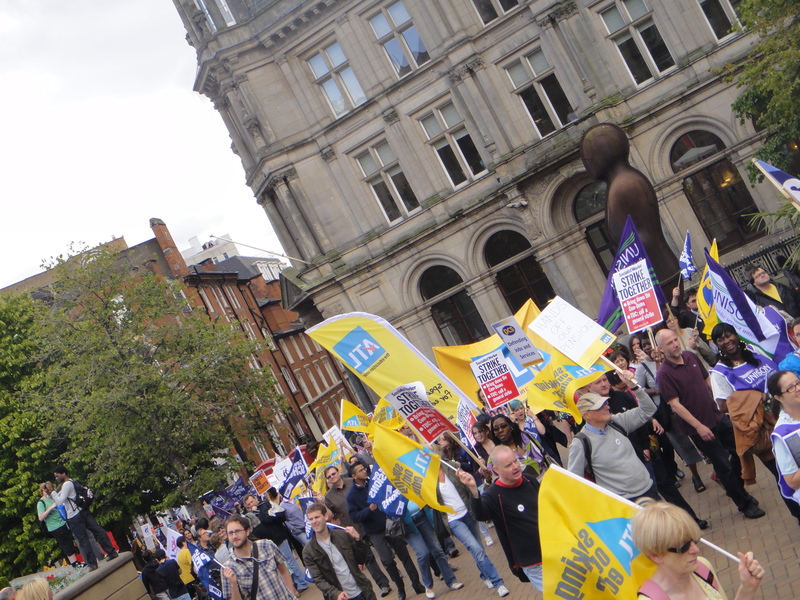 It’s a victory for our members, it’s a victory for common sense and it’s victory for the young people of Birmingham. 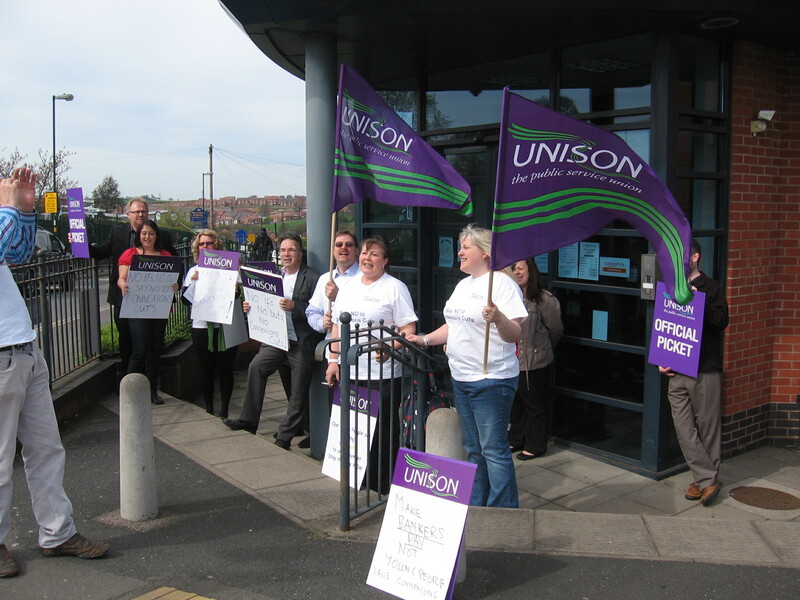 We are really pleased to hear this news, which has come about through months of campaigning, multiple strike days and media pressure on the council. At a time when youth unemployment is at record levels, it is madness to close the service which helps young people to find work or training. Youth unemployment nationally stands at 22%, but with Birmingham having some of the highest areas of unemployment in the UK, and being the youngest city with over 1/3rd of people under 25, it is expected that youth unemployment locally is higher. 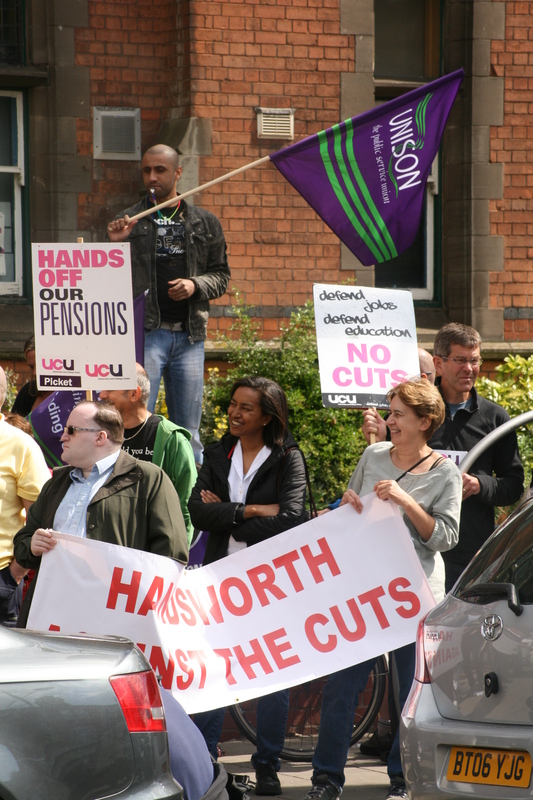 Of course, this comes too late to save offices in Handsworth (unemployment: 21.7%), Erdington (unemployment: 12.9%) and Kings Heath (unemployment: 12.5%). We wait to hear if the planned closures of offices in Northfield (unemployment: 10.1%) and Yardley (unemployment: 10.4%) will go ahead. 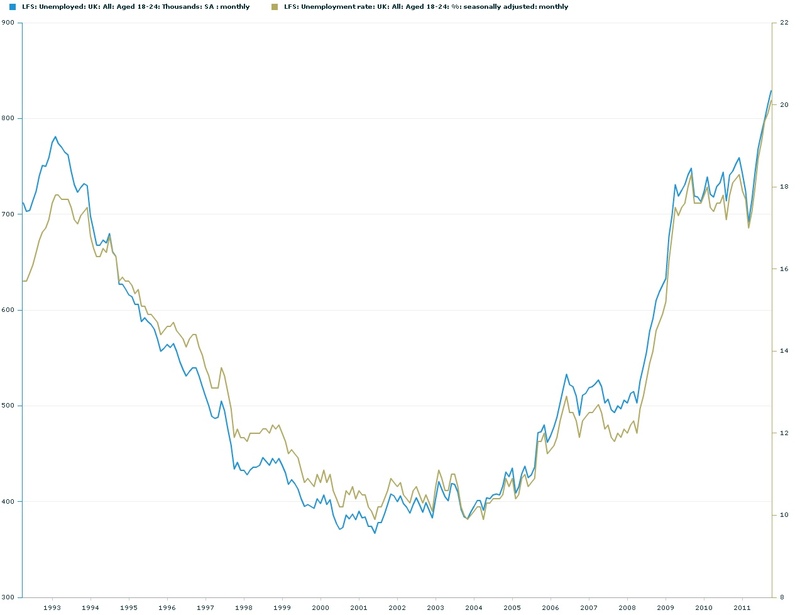 Unemployment rates are for the parliamentary constituency which the office is in, and the data is taken from this parliamentary report from January 2012. 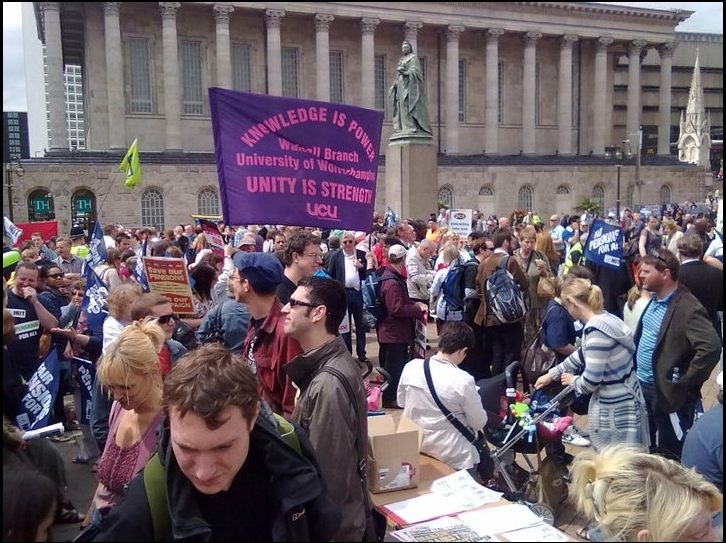 Nationally the unemployment rate is around 8.4%, whilst the average for the 9 Birmingham constituencies is 12.8% – around 50% more than the national average, which suggests youth unemployment may be over 30% locally. So more good news for 2012. 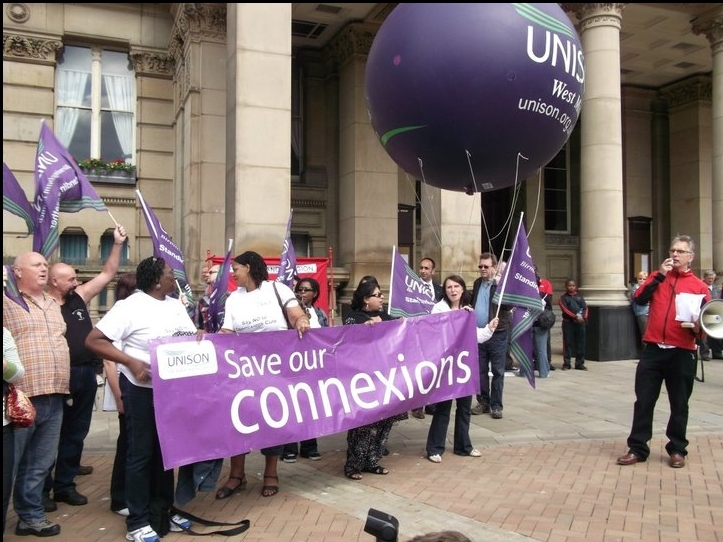 Now we need to work from this to getting commitments the following the local elections, Connexions offices around Birmingham will be re-opened in order to help people in some of the hardest hit parts of the UK to find work and gain new skills. 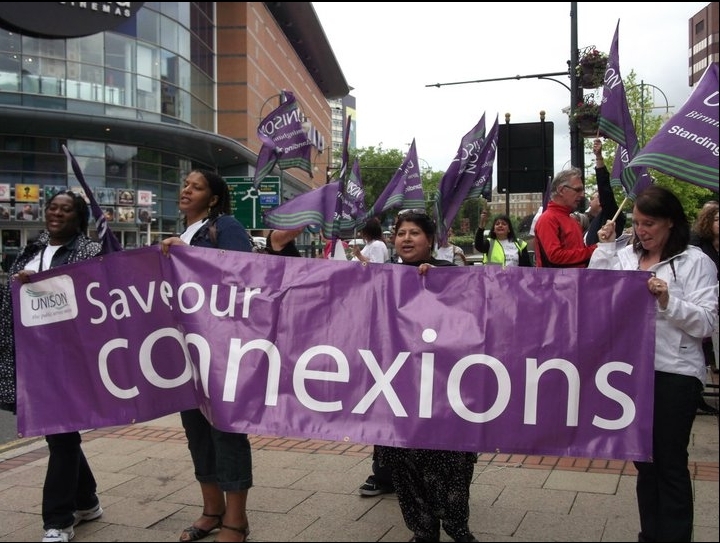 Kings Heath saw the closure of its Connexions office today, the latest in a programme of cuts that has already seen the closure of offices in Handsworth and Erdington, covering two parliamentary constituencies with the highest unemployment rate in the UK. Offices in Yardley and Northfield will follow suit soon, leaving just a single office on Broad Street in the city centre to cover the whole of Birmingham’s young peoples’ needs for career and training advice. Connexions will no longer be in schools either, it will be down to the schools to find money in their budgets to pay for careers advice for their pupils – an example of how this government is squeezing schools budgets whilst still maintaining that they are not cutting funding. The latest office closure came just the day before the latest unemployment figures were announced with over unemployment rising nationally by 118,000 people, to 2.6 million. In the West Midlands, the unemployment rate is now 9.2%, and amongst youth that figure is higher. Over 1,000,000 young people are looking for work at the moment, and in Birmingham, the service which has helped them to find work and training is being closed. This kind of cut is madness. 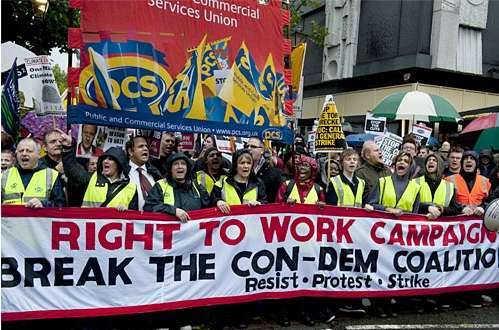 Unemployment is rising, so we close the services that help people to find work and training, and instead send them on workfare “work experience” schemes that provide free labour for large businesses. 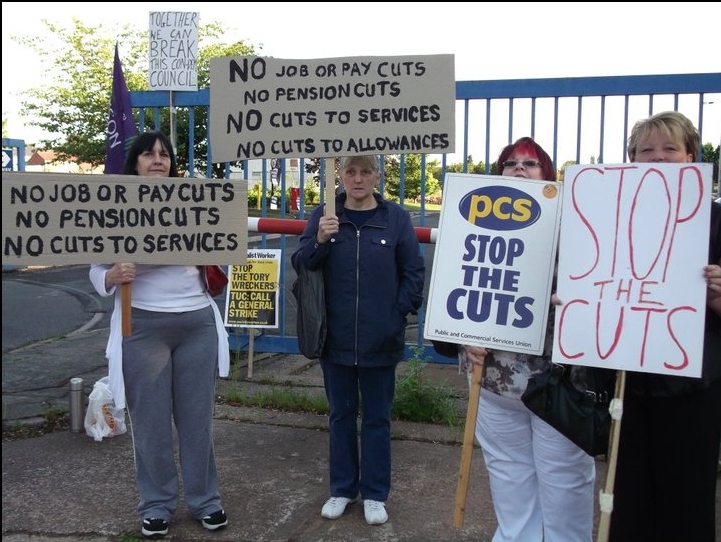 It’s time to end the cuts, and implement the alternatives to austerity. Invest in our economy, create real jobs and growth, to end the deficit and ensure that people do not pay for the bankers gambling habits. 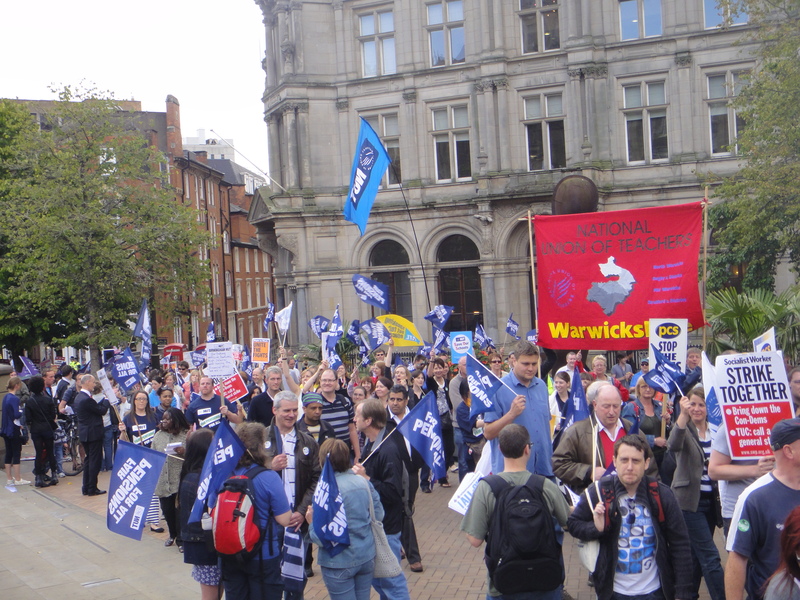 The Liberal Democrat conference is being held at the ICC in Birmingham from the 17th – 21st September, and the TUC, along with Right to Work, DPAC and all the anti-cuts groups in the West Midlands have come together to create a march, assembling at Granville Street, just off Broad Street, and marching down Broad Street, around the Ring of Steel, into the city centre, up Corporation Street to a rally at Lionel Street car park. 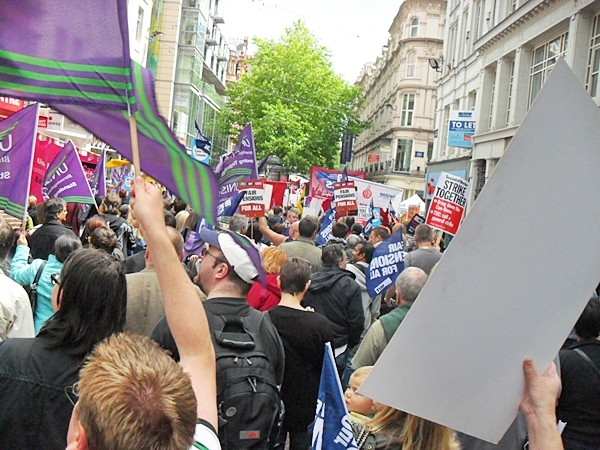 The TUC rally will have Billy Hayes (CWU), Mark Serwotka (PCS), Paul Kenny (GMB) and Christine Blower (NUT) speaking. The police have imposed the same ring of steel as was used at the tory party conference last year. Sign this statement calling for it to be removed. 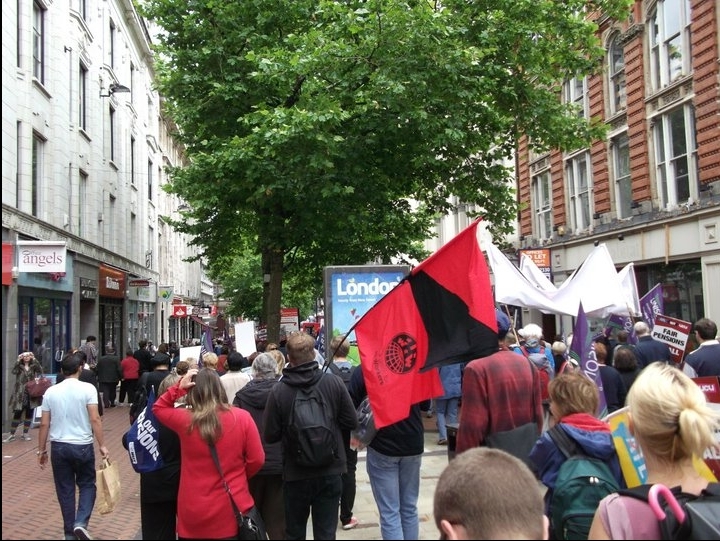 In Manchester, the Tory party conference march – which is likely to be bigger than the march in Birmingham – is being allowed to pass directly in front of the conference, but West Midlands police have decided in their infinite wisdom to keep us away. 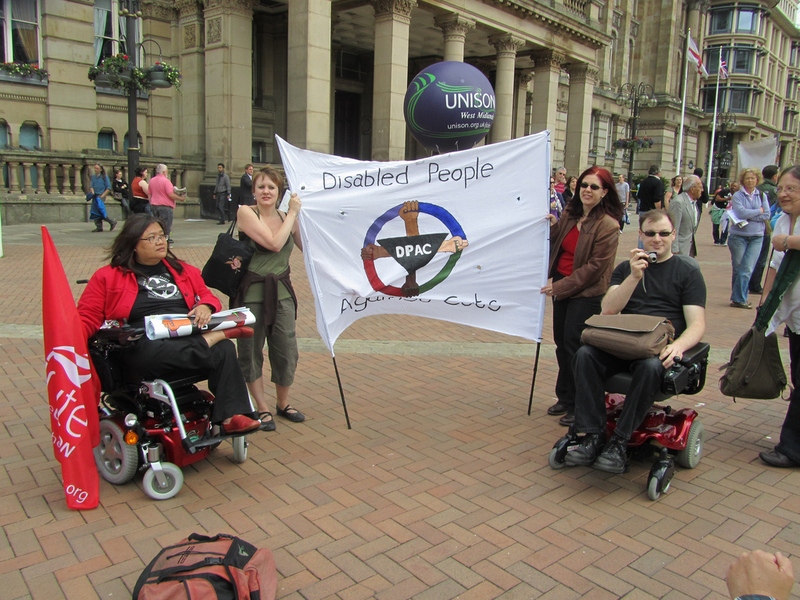 Please sign the statement in that link to call for us to be allowed to march past the ICC. 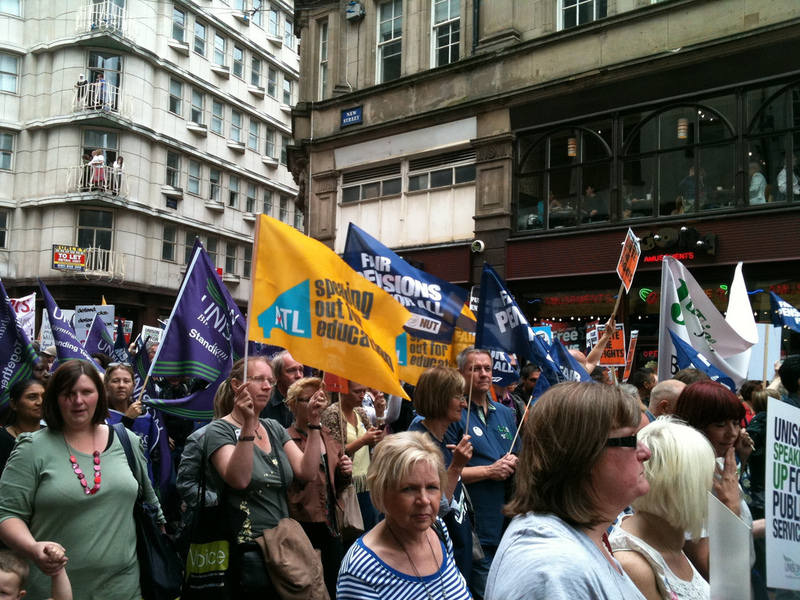 In October last year, 7,000 people marched through the rain in Birmingham when the Tories held their conference here – we can make this march much, much bigger, with the support of the TUC and a year into the coaltion government, we should be getting tens of thousands of people out to call for an alternative to the austerity policies of this government. Over the past year we have seen our economy falter, with growth flatlining in the 9 months since the first budget review of this Government. We need to abandon austerity policies, and instead develop policies for growth – stimulate the economy by investing in sectors which either need support or which investment would help achieve other policy aims as well. Without growth we will not see the deficit being reduced. Cuts will not help our economy, or solve our deficit problem. What they will do, and are doing, is cause hardship to average and low income people of this country. The wealthiest are not hurt by these cuts, and are seeing their wealth continue to grow. The bankers continue to receive bonuses for doing exactly the same kinds of things that caused the financial crisis in the first place – and since no reforms have happened to the banking sector, they continue to pose a risk to us. 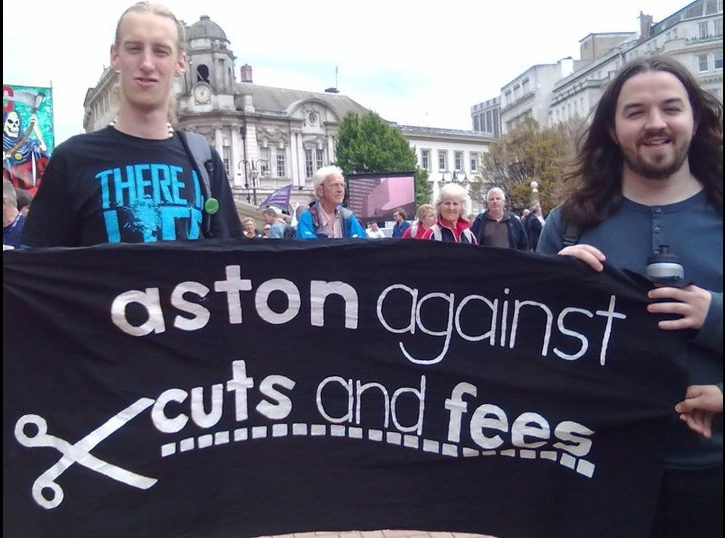 In Birmingham, the council cuts are already seeing youth services, Connexions, museums and charitable organisations losing funding and closing. 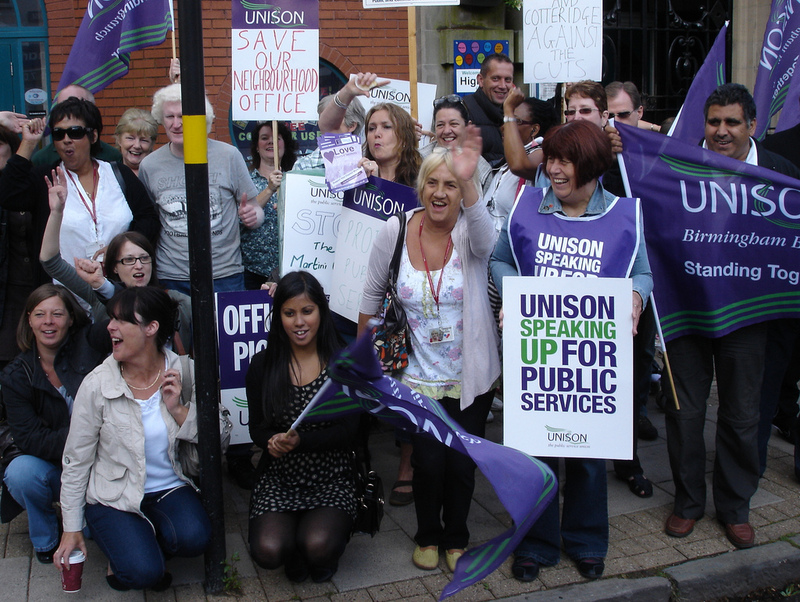 Council workers face pay cuts and changes to their conditions. 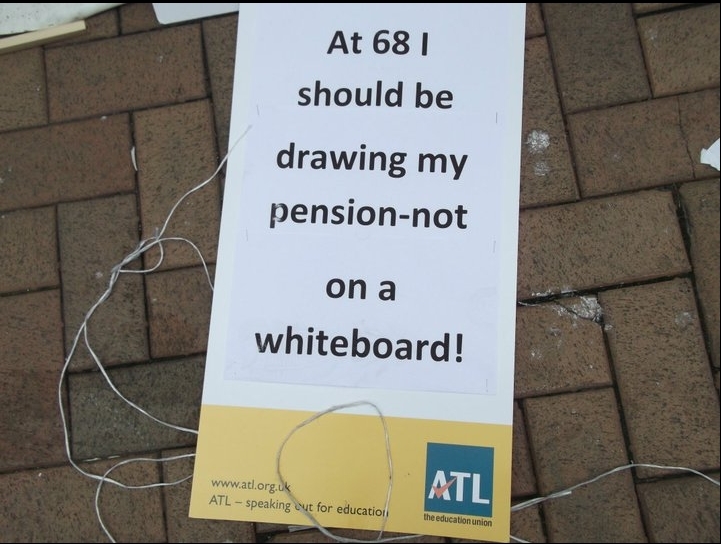 Adults with “substantial” care needs may lose their support. 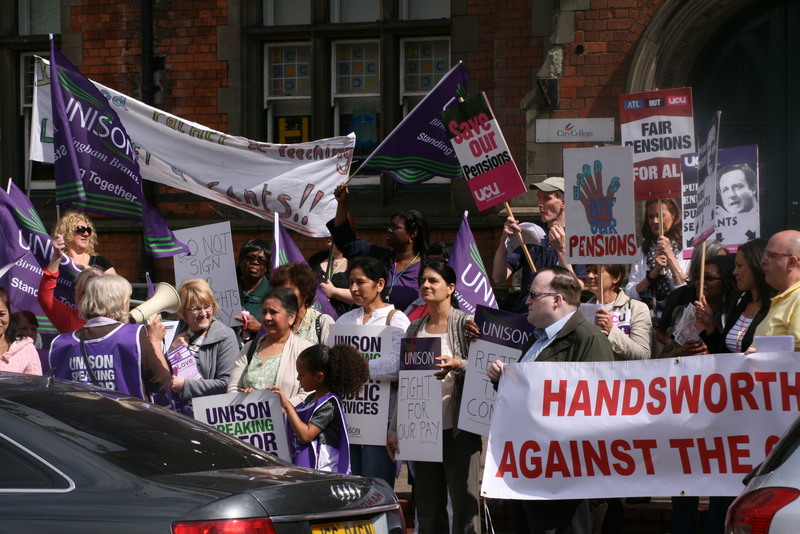 Refuse workers who cleaned up the city after the riots striking over £4,000/year pay cuts. Across the country this picture is being repeated at every council. 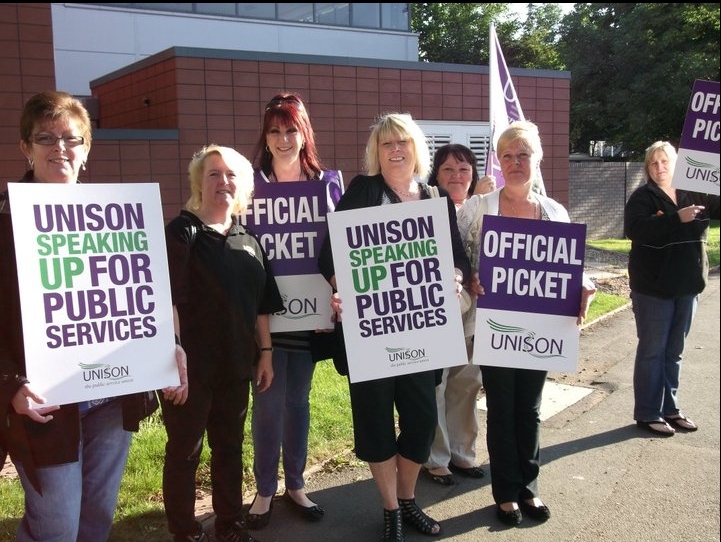 Nationally we have seen strikes from public sector workers whose pensions are being attacked to pay for the deficit. There will be cuts to Legal Aid, police and almost every government funded service you can think of. The NHS, which was promised would not be cut, is instead having to find 4% “efficiency savings” every year. 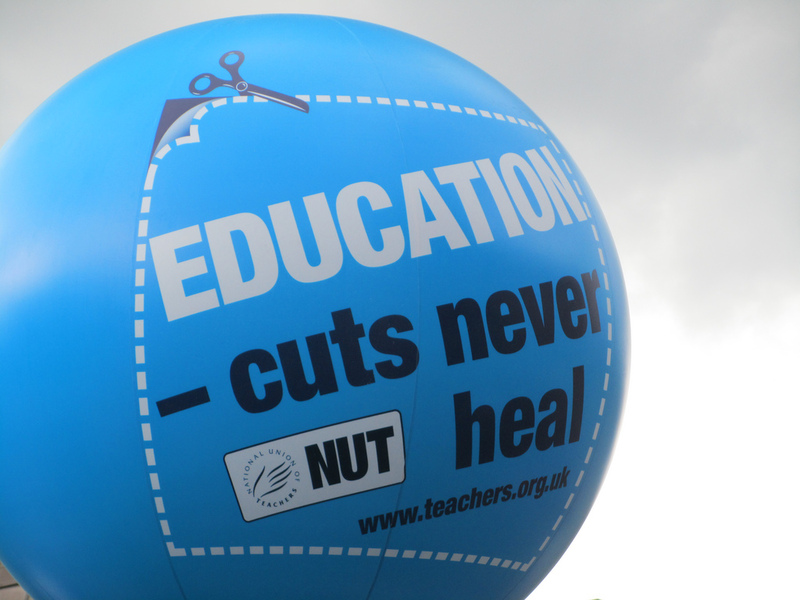 Schools are not having their teaching budgets cut, but face the loss of outside services such as the School Sports Programme, and other funding like the schools maintenance budget, as well as the scrapping of EMA which will reduce pupil numbers and in doing so reduce funding to schools and FE colleges. The Liberal Democrats are not an unwilling partner in this coalition. They are fully committed to the austerity agenda, as we saw when they broke their pledge to vote against tuition fees back in December, or when they failed to impose any kind of reform on the banks, let alone a version of the Glass-Steagall Act. 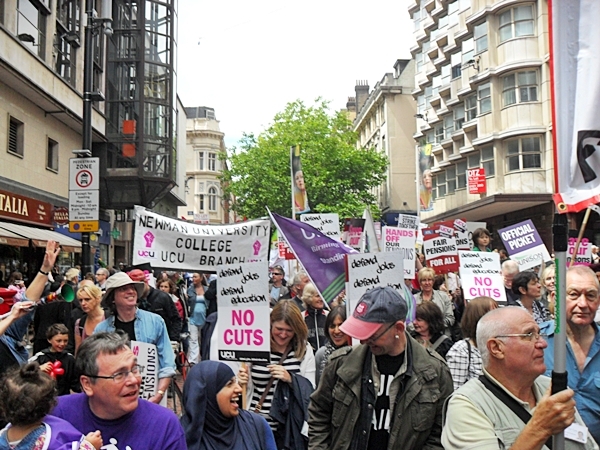 Join with us on September 18th in Birmingham to call for an alternative to this government and the austerity policies they are imposing on us. 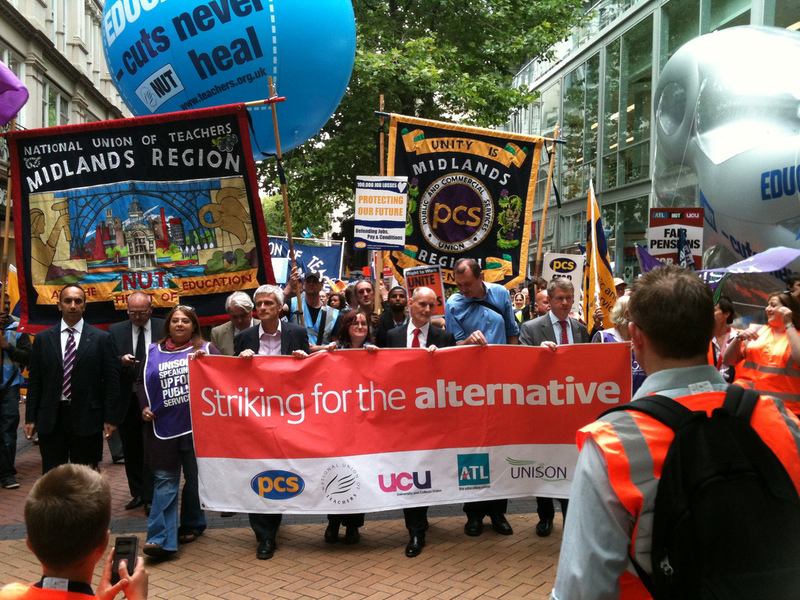 To find out more about the alternatives, look at False Economy or our posts on alternatives to the cuts. Right to Work are running coaches from around the UK. 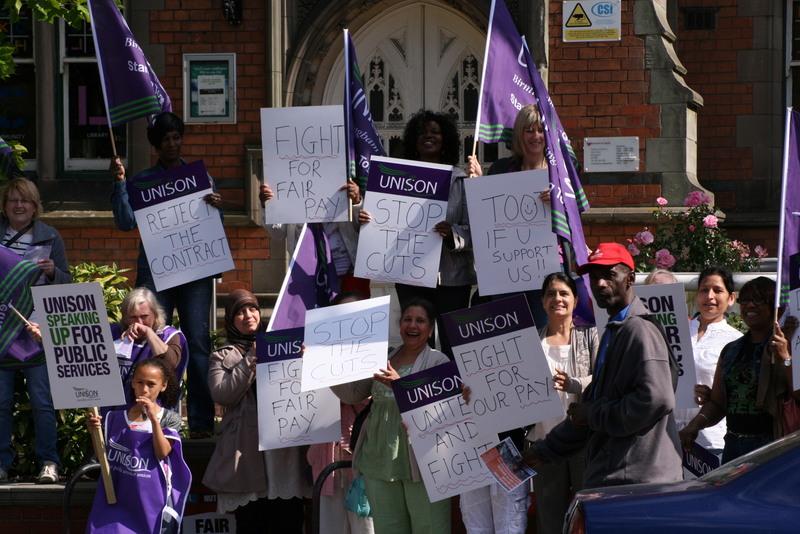 If you fancy making a weekend of it, the Chainmakers Festival, celebrating the victory of the Women Chainmakers who went on strike in 1910 to get equal wages to men, is being held in Cradley Heath on Sat September 17th. 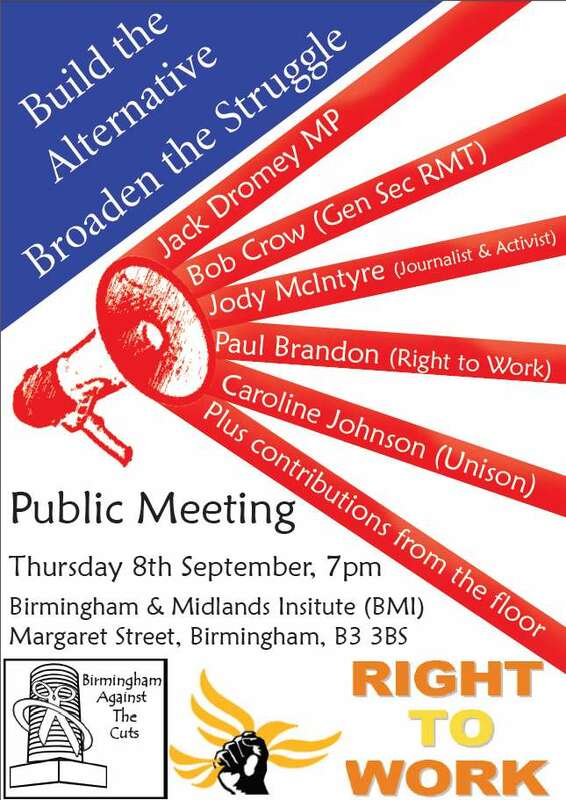 On September 8th, Birmingham Against the Cuts and Right to Work are holding a public meeting – Build the Alternative, Broaden the Struggle, with Jack Dromey MP, Bob Crow, Jody McIntyre and Paul Brandon speaking, chaired by Caroline Johnson. 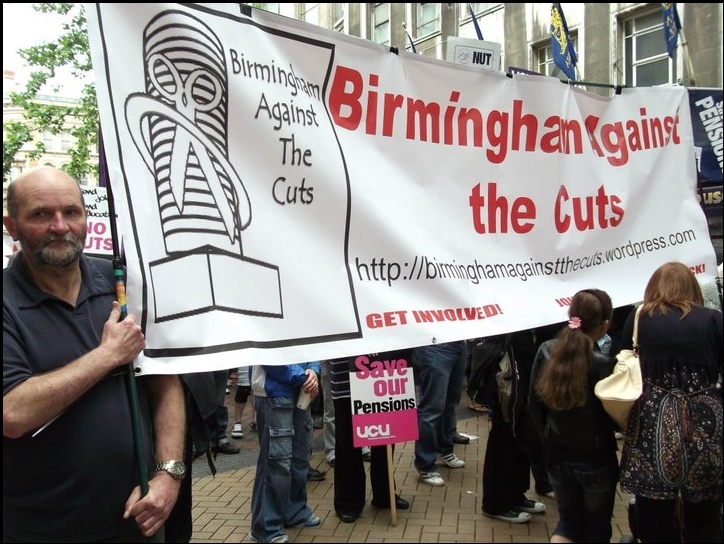 We will also be holding many leafletting sessions, so keep an eye on our upcoming events page or our facebook page for details of those events, or email us at BirminghamAgainstTheCuts@Gmail.com or comment on this article to let us know if you would like to help and when and where you might be avaialable. 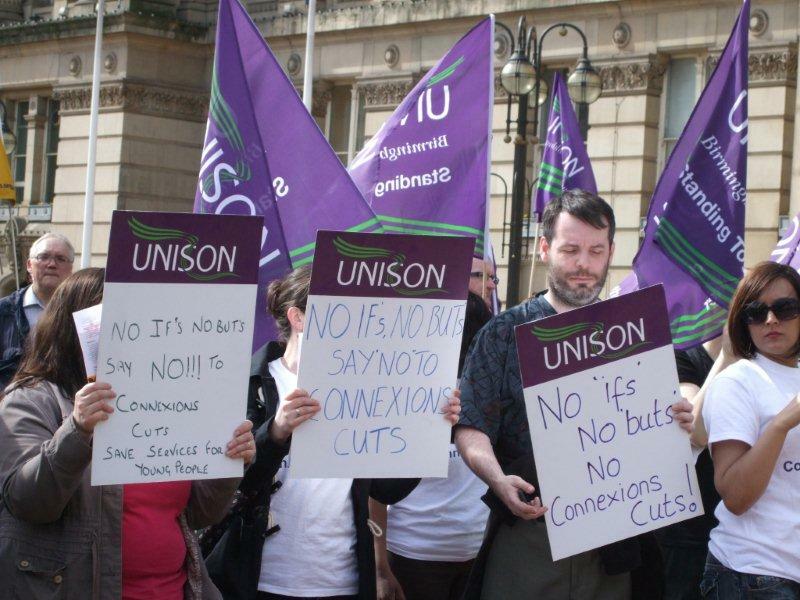 Connexions workers in Birmingham will join council workers, teachers and civil servants on Thursday for a day of mass strikes. 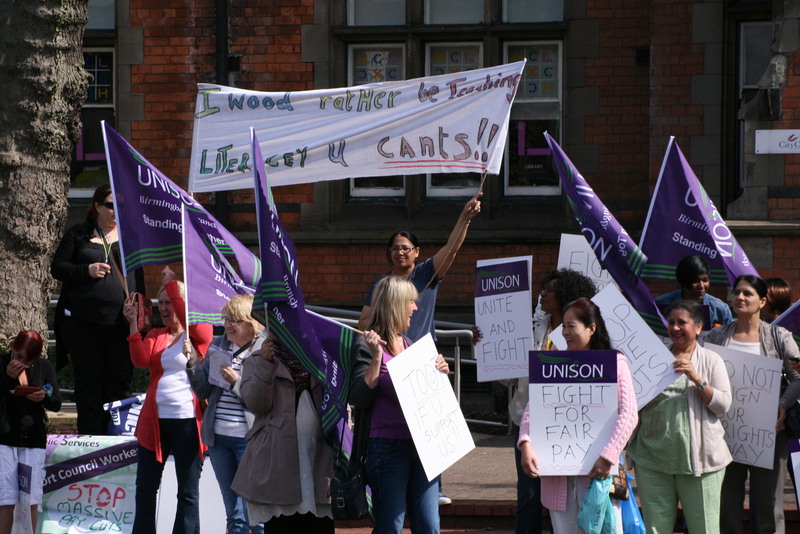 They have already held half-day strikes over the past few months over office closures and redundancies to a service which provides careers advice to young people, at a time when youth unemployment is rising (it’s at around 20% nationally, and probably higher than that locally) and educational opportunities are being restricted by the scrapping of EMA and the raising of university tuition fees. The ConDems promised to improve Careers Advice for young people, now we know that from April 2012 they intend to end funding for Careers Guidance and Connexions for young people. National funding for Careers Advice has been available for over 40 years. Without any debate or consultation this service is now in grave danger of being removed from our young people. Careers advice and support should be available face to face for ALL our young people regardless of their ability level, especially at a time in the economic cycle where jobs are hard to find, and a time when politicians are withdrawing support for education and training. 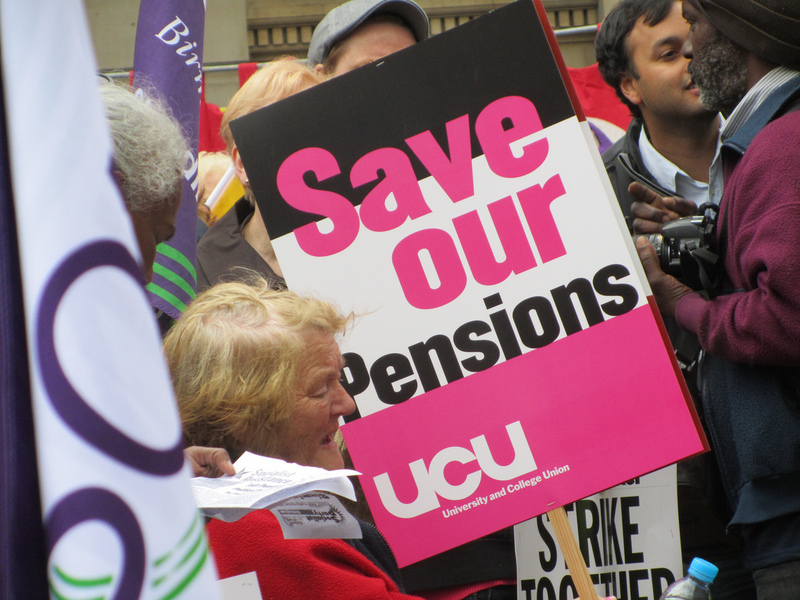 This government is potentially abolishing the careers service for young people. 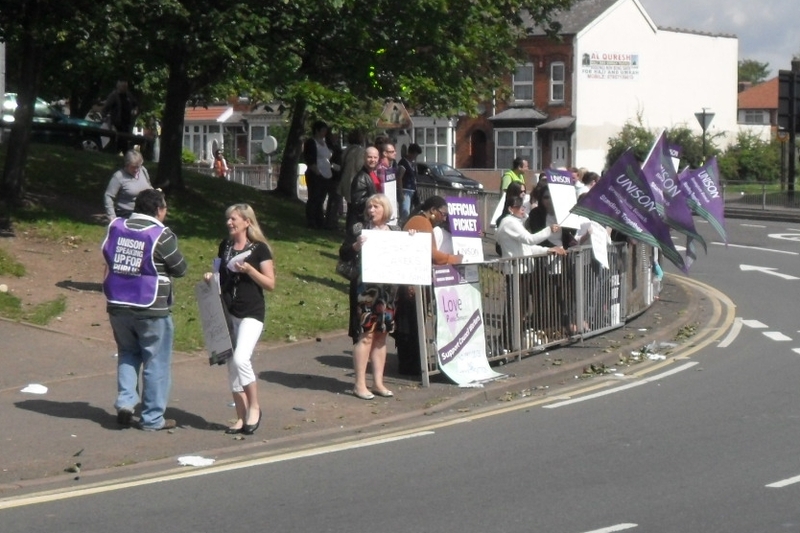 7am -10am: Pickets and protest outside all Connexions Centres or bases for Connexions members- Honeywell House, Kings Heath, Broad Street, Northfield and Broad Street. 10-10.30: Everyone heads to the Broad Street office. Transport will be organised by stewards as appropriate. Members are encouraged to share cars wherever possible.